My Take on it – I saw this film twice in the theater when it came out a few months ago and was anxiously awaiting my next opportunity to see this film. Third time is definitely the charm, because I think this film gets better and better the more times that I see it. Alden Ehrenreich does a superb job giving us a younger version of the Han Solo Harrison Ford played in 4 movies. Yes, I’m willing to admit that it isn’t perfect (no one can play Solo like Ford), yet if one closes their eyes, it’s possible to feel that we are watching the exact same character in all of the films. 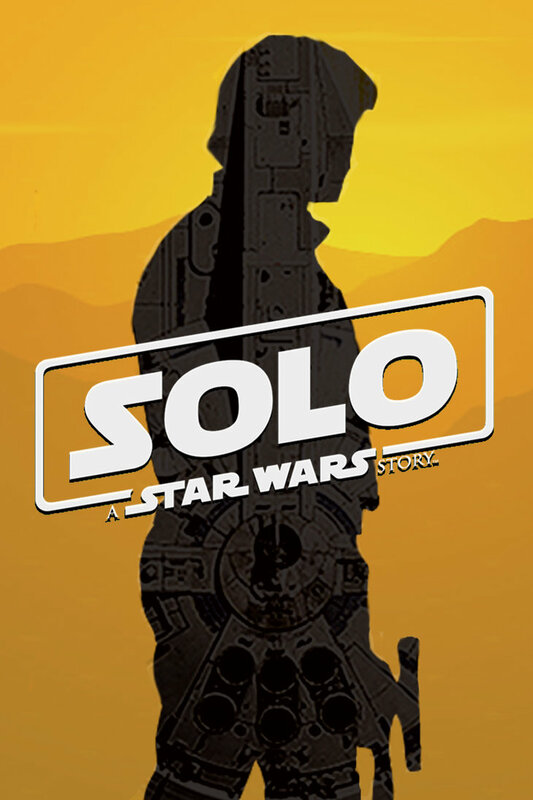 Han Solo is one of the best anti-heroes in Movie history and this film does an amazing job giving us his origin story even if at some points they seem to be piling too many of the iconic aspects of the character in one film. They did the same in Indiana Jones and the Last Crusade (1989) and in that case, they did it all in less than 15 minutes which makes it seem even more cramped. They do manage to give us so many of the personality traits of the man that we will be reacquainted with about ten years later in his life. The special effects are superb and we get to see things happen in a galaxy that we are familiar with already, yet still has room to expand to new worlds, creatures and situations. I really liked the fact that they were able to make a film without the need to add in Jedis or Skywalkers even if it’s clear that this all takes place in the same galaxy far far away. I personally, have a lot of trouble comprehending why so many Star Wars fans really dislike this movie and Rogue One: A Star Wars Story (2016) since I think that there are so many great stories to tell about events and characters from the Star Wars canon that are stand alone tales. I really hope that they don’t stop making them since this really is going in the right direction IMHO. Can’t wait to see this film again soon since It’s one of my top two films of 2018 so far. Bottom Line – Amazing film that gets better each time that I watch it. Ehrenreich does a great impersonation of Ford and even if it isn’t perfect, it still manages to come close enough that if one closes their eyes, they can seem to be the same character. Love the way that this film gives us the origin of one of the best anti-heroes in film history and also helps explain how he came to be the man we meet years later. The special effects are superbly done and this is such a great addition to the Star Wars canon because it gives us a very different kind of story than the ones we are use to (Jedis and Skywalkers) and manages to make it all feel like a very “lived-in” world. I have trouble comprehending why so many Star Wars fans dislike this film, but I still believe that they were going in the right direction with the standalone films and it would be a real shame if they stopped them now. Can’t wait to see this again! Highly Highly Recommended!